Four people were forced to flee a basement fire in a café in Stoke Newington earlier today. Six fire engines and around 35 firefighters were called to a blaze at Lydia Café on Church Street at 11.47am this morning. According to the London Fire Brigade, part of the basement and a small part of the ground floor were damaged by the fire. Two people fled the café and a further two people escaped from the flats above before firefighters arrived. One man was treated at the scene for smoke inhalation by an ambulance crew. The Brigade says the fire was under control by 1.12pm, and that the cause is now under investigation. Fire crews from Stoke Newington, Hornsey, Islington, Homerton and Tottenham fire stations attended the scene. 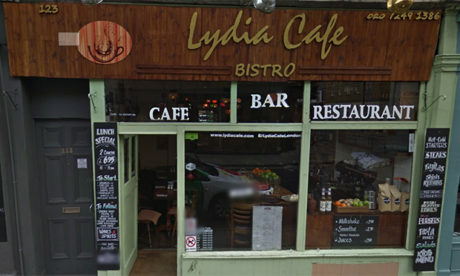 Lydia Café said on its Facebook page: “We have had a unfortunate situation this morning, thank you for all your well wishes.